How To Fix a BIG Hole In Your Drywall – FAST! Fix Hole In Drywall! Do you have a big hole in your drywall? A big hole in your drywall can be fixed fast with step-by-step instructions! Drywall is commonly found in almost every household. Drywall is susceptible to damage as it is made of a lighter material. If you suddenly come home to find a large hole in your wall and the kids look guilty, or something has fallen over such as a TV and made a big hole, we have just the fix for you. At Remove and Replace you will find solutions to all your home repair needs. Our knowledgeable repair techs and DIY experts offer you home maintenance tips, repair solutions, and home improvement tricks. Fix Hole In Drywall – How to fix a BIG hole in your drywall… STEP-BY-STEP and FAST! Let’s get started on fixing the hole in your drywall. 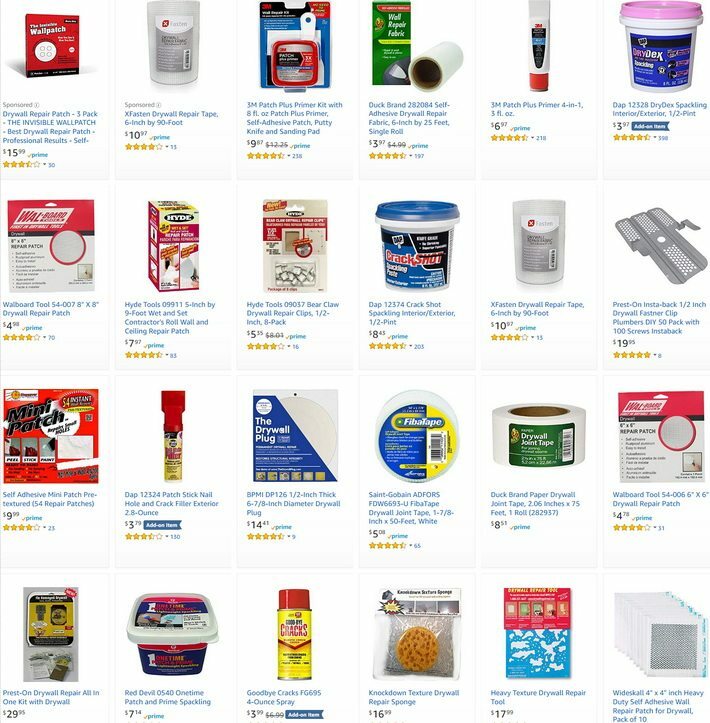 What tools and supplies will you need to fix your drywall? A small hole in your drywall can be fixed easily with some adhesive mesh or a metal drywall patch; however, for a hole larger than 6 inches a different method must be taken. 1. First, take your tape measure and measure the exact length and width of the hole in your wall. 2. Using a drywall saw, cut out a piece of drywall in a size that is slightly larger than the hole in your wall. You can clean the edges of the cut out piece of drywall using a utility knife. 3. Now, holding this piece of drywall as a scale, roughly draw around the edges on your wall with a pencil. This scale will tell you how much you need to cut out from the damaged drywall. 4. Check inside the hole before you start cutting, as there might be electrical wires or plumbing behind the wall. Cutting through any of these will cause an even greater headache. Now, using the pencil marks as a scale, cut out the drywall with a drywall knife or drywall saw. 5. Then, cut out small, thin pieces of wood (making a furring strip) and attach this to the inside of your wall using your drill and screws. 6. You can now take your freshly cut piece of new drywall and attach it with screws to the furring strip. 7. Apply joint tape to the borders of your patch neatly. The joint tape is made of mesh, so it allows the drywall to breathe. Using the joint tape will ensure that the bond between your drywall and your patch is strong and that there is the least amount of movement between the drywall and the patch. This will help cracks from appearing in the future. 8. You are almost done! Now, using your tape and joint compound, cover the entire area of the hole, which you have just fixed. 9. Allow the compound to dry well. After it has dried, rub your hand over the fixed area. If there’s an indentation between the fixed area and the surrounding wall, apply a second coating of the joint compound. 10. Sand out the entire area to make it look as smooth as possible. It is just that simple. Once the drywall has completely dried, you can choose to either apply a fresh coat of paint over your entire wall, giving the room a makeover, or you can simply apply the same color paint over the fixed area. Once painting is complete, your wall will look as good as new, and no one will even realize that you had a gaping hole in your drywall days earlier. Remove and Replace helps you safely repair household problems, large or small, all by yourself by using our step-by-step guides. Following the easy instructions and visual examples on our website, you can restore your home to its previous glory or try some of their innovative home improvement tips to enhancement your home. REMOVE what’s broken and REPLACE it yourself. Have questions, comments, or other repair methods? Please leave a comment below and we will get back to you with a solution or use add your repair solution as a guide for others with the same issue.